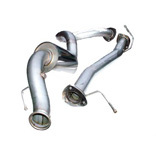 88 inch Mild Steel Full Exhaust Systems suitable for the Land Rover Series 2, 2A and 3. Inc. VAT: £52.15 Inc. VAT: Info UK VAT charged at 20%. Ex VAT £43.46 Ex VAT Info Outside of EU and EU VAT registered companies only (not UK). Inc. VAT: £47.94 Inc. VAT: Info UK VAT charged at 20%. Ex VAT £39.95 Ex VAT Info Outside of EU and EU VAT registered companies only (not UK). Inc. VAT: £79.14 Inc. VAT: Info UK VAT charged at 20%. Ex VAT £65.95 Ex VAT Info Outside of EU and EU VAT registered companies only (not UK). Inc. VAT: £83.35 Inc. VAT: Info UK VAT charged at 20%. Ex VAT £69.46 Ex VAT Info Outside of EU and EU VAT registered companies only (not UK). Inc. VAT: £51.07 Inc. VAT: Info UK VAT charged at 20%. Ex VAT £42.56 Ex VAT Info Outside of EU and EU VAT registered companies only (not UK). Inc. VAT: £82.27 Inc. VAT: Info UK VAT charged at 20%. Ex VAT £68.56 Ex VAT Info Outside of EU and EU VAT registered companies only (not UK).